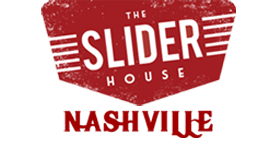 The Slider House specializes in the little sandwiches called sliders. At the top of the menu are beef sliders, basically little burgers, composed of 3-ounce angus beef patties with toppings. 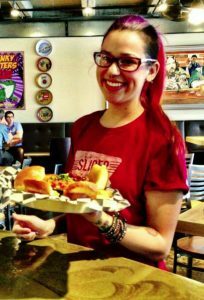 The Shotgun, for example, is a patty topped with house-made chili, cheddar cheese and pickled slaw. The Southern Comfort, meanwhile, is a spicy chicken slider — a cute little fried chicken filet with a Sriracha-and-honey glaze. The menu even includes vegetarian incarnations, like the Grill Cheese Capri, which features an oval of fresh mozzarella, a slice of roma tomato and a drizzle of balsamic vinegar. There’s also a lineup of hot dog sliders, made with mini all-beef franks.